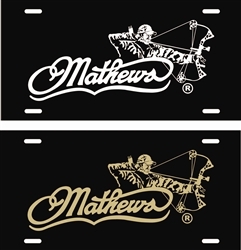 We're now offering our Mathews Archery Bowman decal on a license plate. Our Bowman decal is one of our most popular so it only made since to also offer it on a vehicle plate. 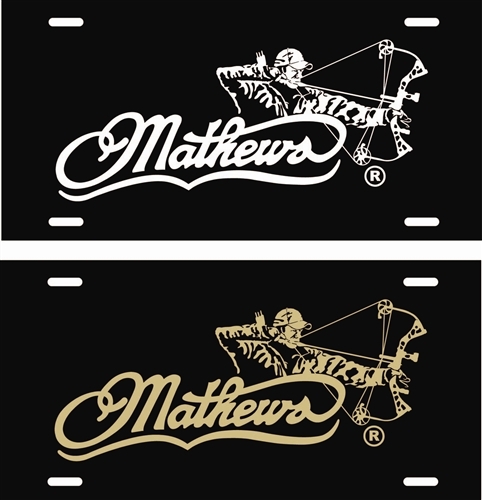 The black plate size is 12" X 6" and will be a great additon to your hunting rig to show your passion for all things Mathews so slap one of your ride today! Available in White or Gold.